July 10, 2011 - It's been over a year since the Duke and Duchess of Cambridge tied the knot at Westminster Abbey. 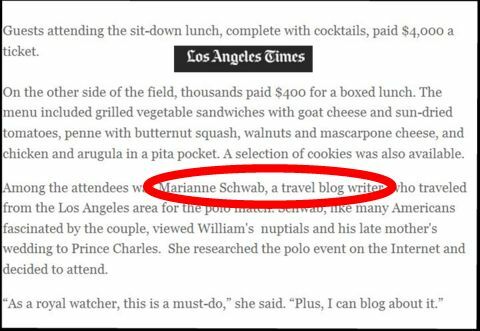 I'm a bona fide Royal Watcher (see below) so when I heard last year that Prince William and his lovely new bride, Kate, were planning to visit Southern California in July 2011, I was scouring the internet to find out where I might be able to catch a glimpse of them. Success! 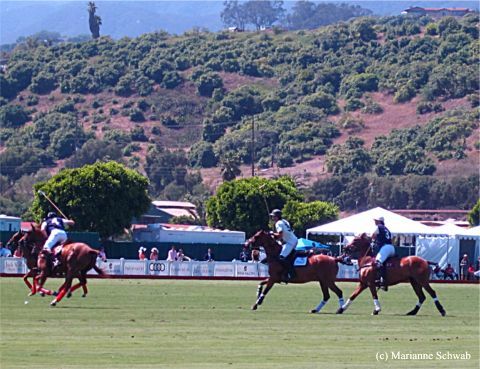 I discovered that Prince William was playing in a charity Polo Match at the Santa Barbara Polo Club (a short 75 minute drive from my home in the San Fernando Valley in Los Angeles). The cheap seats were pricey, $400 per person, but within my range for a once-in-a-lifetime experience. 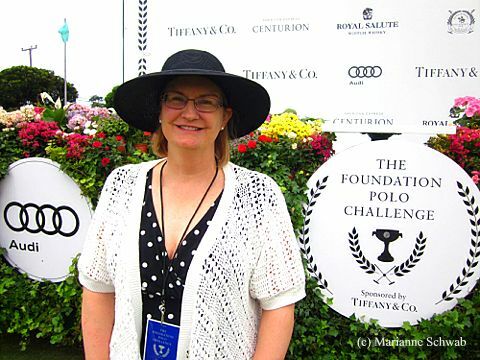 It was my first Polo Match and I hope it was not my last, but it was incredibly exciting because I love horses and it was a thrill to see Prince William thundering down the polo field on his horse. 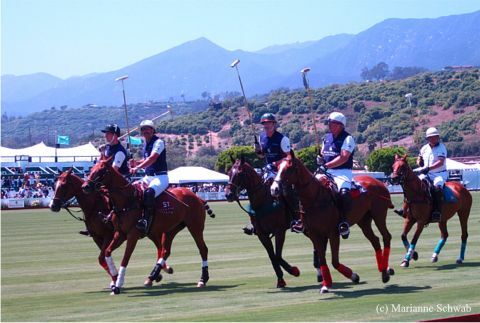 After a picnic lunch, the festivities began on the polo field with a parade of horses from the three teams that played that day. 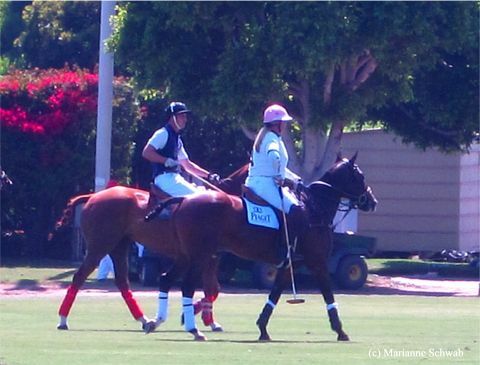 I found out from a someone who knew one of the players that they paid $100,000 each for the honor and privilege of playing Polo with the Prince. 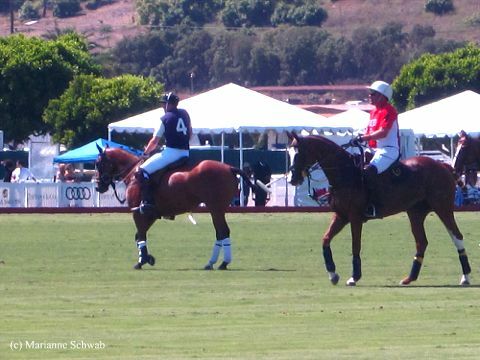 Royal Salute was a sponsor for the event and Prince William's polo team. William is on the far left and was wearing the number four on his polo shirt. 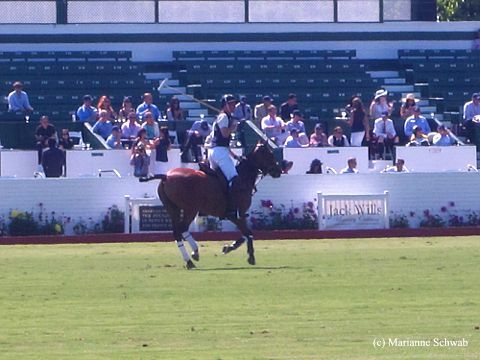 Prince William races down the polo field on his first horse for the match. 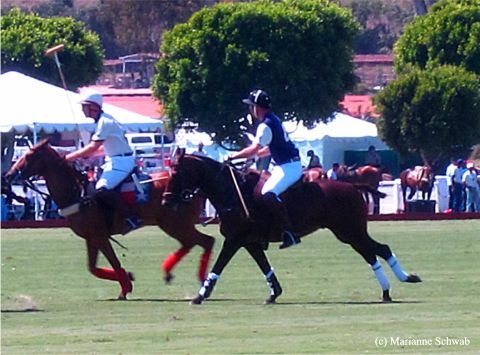 Players will change horses several times during a match due to the intensity of a polo game. Each horse can only participate for about six to seven minutes before it is replaced with a fresh horse. These horses are specifically trained to play in polo matches which I discovered recently when my neighbor told me his daughter is a polo pony trainer. 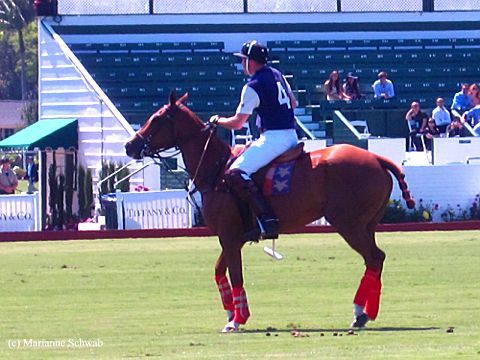 Prince William takes a brief pause during the polo match and notice he's riding a new horse. You can see lots of empty seats on the $4000 per person side of the field. 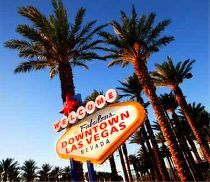 I did hear that the event was sold out but I guess some donors have money to burn. 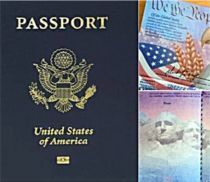 Hey, I would have accepted their ticket to participate in the festivities on the Royal side of the polo field and have lunch with the Duke and Duchess, but the good news is that it all went to support a favorite charity of Prince William's and Prince Harry's. 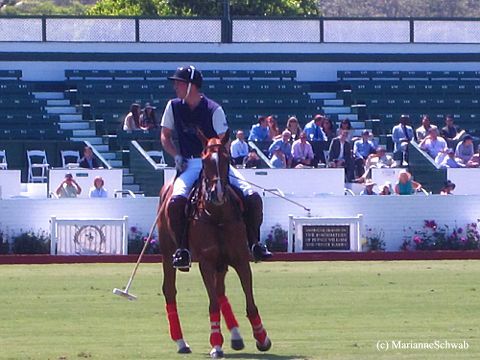 Prince William in full swing during the polo match in the far left of the photo above as players and their horses on both teams race down the polo field. 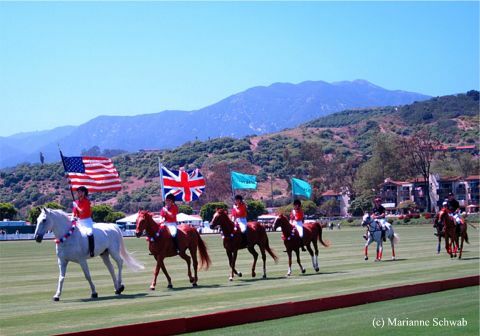 My biggest regret is that when I attended the Royal Polo Match with Prince William was although I have a great idiot proof camera for most of my photo needs, I really wish I had a DSLR camera with a great lens package to shoot this event. So given the fact that I was shooting fast moving horses, zoomed in 16x on a Canon SD1300 Powershot camera, and had a few glasses of 21-year-old Royal Salute scotch whiskey, I got some fairly decent photos with a three handicap including this shot of a royal kiss. 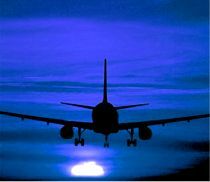 Check out more on the event that day in the Los Angeles Times and don't miss my mention and quote in the article. Happy Royal Watching, everyone!